Have you ever wondered how a cake feels when it's being eaten? Or met an evil genius pea or superhero potato? 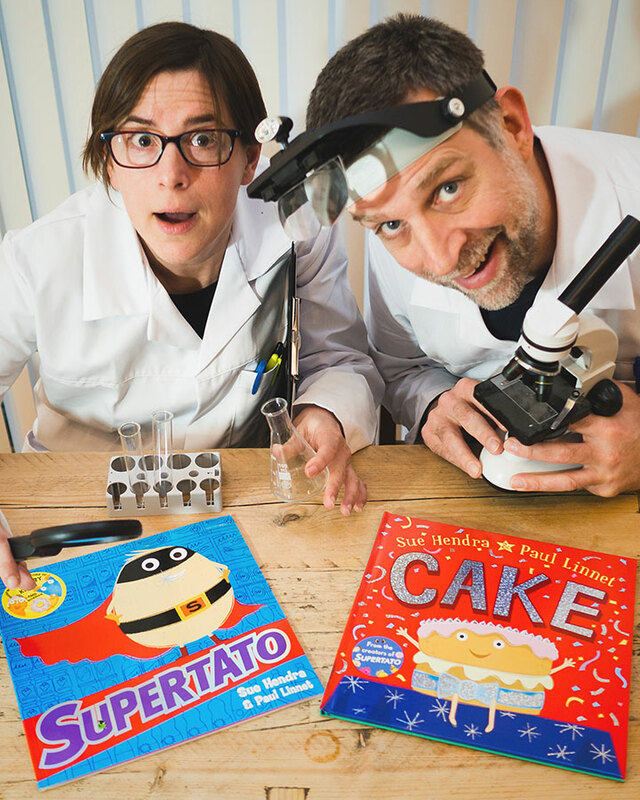 Author-illustrator team Sue Hendra and Paul Linnet present their delicious tale Cake and the latest adventures of Supertato. Complete with live music, special sound effects, lights and props, this is one interactive event you are guaranteed to enjoy. Suitable for all the family.